Executive Secretary of the Nigerian Content Development and Monitoring Board (NCDMB), Engineer Simbi Wabote, has thrown his weight behind the move by the Oil and Gas Free Zones Authority (OGFZA) to reduce tariffs and cut the cost of doing business in the nation’s Oil and Gas Free Zones. Mr Wabote gave his support to this when Managing Director of OGFZA, Mr Umana Okon Umana, paid him a courtesy call in his office in Yenegoa. During the visit, Mr Wabote commended the initiative by OGFZA on the downward review of tariffs in the oil and gas free zones. 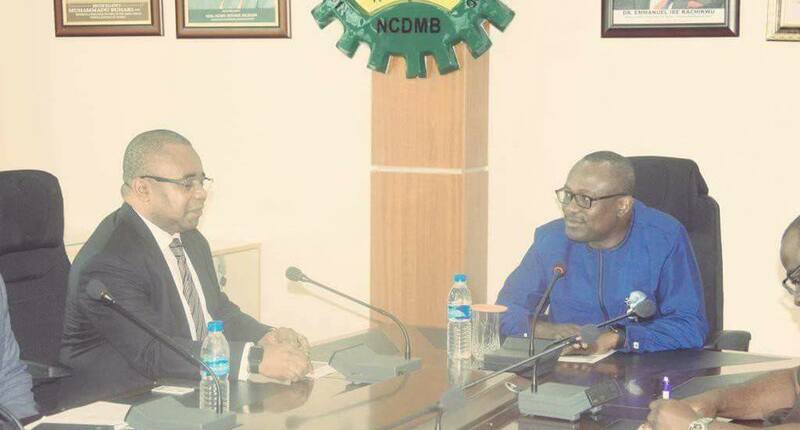 The NCDMB boss said he was aware, based on his knowledge of the industry, that high cost of doing business caused by excessive service charges has always been an issue in the industry, adding that over the years excessively high service charges have been responsible for a significant cost component of oil production in the country, thereby making the unit cost of oil production in Nigeria one of the highest in the world. He explained that given the long history of the problem, the tariff moderation policy initiated by OGFZA is of such historic significance that it should be supported by all stakeholders who want to see a globally competitive oil and gas industry in Nigeria. Mr Wabote said he was happy that the Federal Government was providing solution to the cash call problem in the industry as global oil prices were picking up. He pledged to work with OGFZA to contribute to the resolution of challenges facing the industry. In an earlier remark, Mr Umana, his host on the resolve of the Authority to reduce tariffs applicable in the Onne Oil and Gas Free Zone and also to ensure that the tariff structure is approved in line with the provisions of the extant law and regulations. Mr Umana also briefed the scribe on other aspects of the ongoing reform in the Authority, such as the automation of its operations processes to achieve operational efficiency through the deployment of Oracle Cloud application and the effort to provide cheaper power in the Onne Oil and Gas Free Zone. He explained that OGFZA’s operation is driven by a roadmap drawn up in-house in January this year that is committed to the execution of its mandate in a manner that ensures a level playing field for all free zone enterprises; guarantees that incentives provided for free zone businesses by law are protected, and makes sure that no action by any free zone licensee is allowed to undermine the plan of government to use the free zones as agency for inclusive and sustainable economic development. He told the executive secretary that OGFZA was talking with Intels Nigeria Limited with a view to resolving the issues in contention.